The secret is out! The Google Chromebook is a tablet killer. 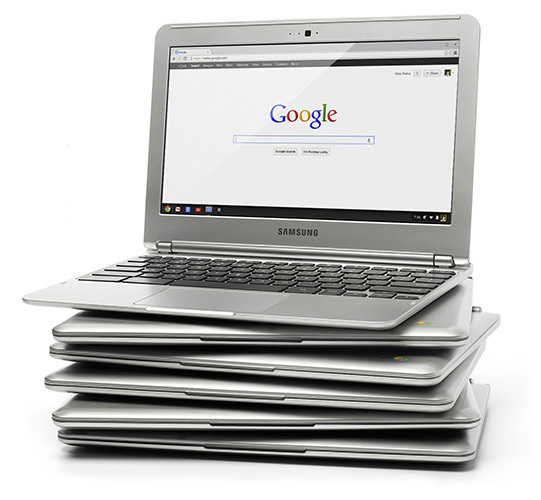 The Chromebook has been around for a while but is now available for the super low price of $199.00 to $249.00. Holiday shoppers are gobbling them up, and it is quickly becoming the hot tech product of Christmas 2012. We have all watched as all the big technology companies battle it out for tablet supremacy. All along Google has been pushing the Chromebook to anyone that will listen, and is now doing a national ad campaign. The Chromebook is a scaled down laptop that relies on cloud based applications. More and more I find myself using cloud based applications like Salesforce.com, LinkedIn, and all the Google applications. The Chromebook comes with 2 years of Google Drive cloud storage and 12 free sessions of Gogo Inflight Internet. The Chromebooks offer a low cost alternative to pricey laptops and tablets. The Samsung Chromebook runs Chrome OS, which means it has Google apps built-in, it’s easy to share, and stays up to date automatically. The Chromebook come in three flavors from vendors, Samsung and Acer, and you will pay a bit more for the 3G enabled option. 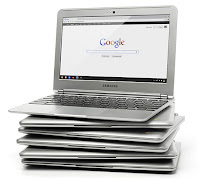 If you are currently in the market for a new laptop or tablet, I would urge you to take a look at the Google Chromebook.